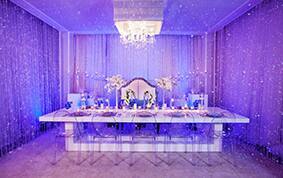 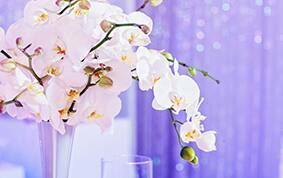 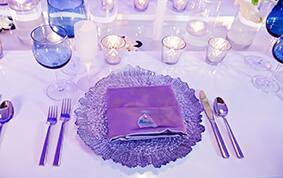 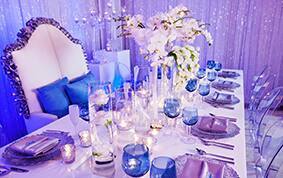 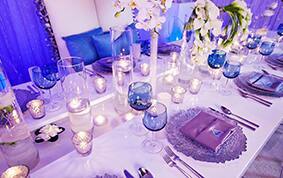 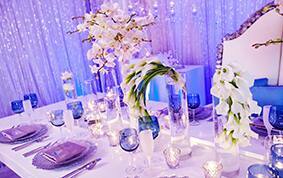 Dreaming of a snow kissed wedding reception? 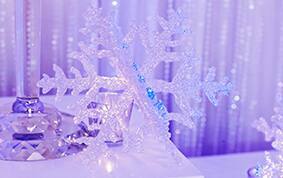 Bring a wondrous winter wonderland celebration inside with a little help (and magic!) 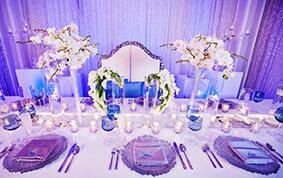 from us here at Disney's Fairy Tale Weddings. 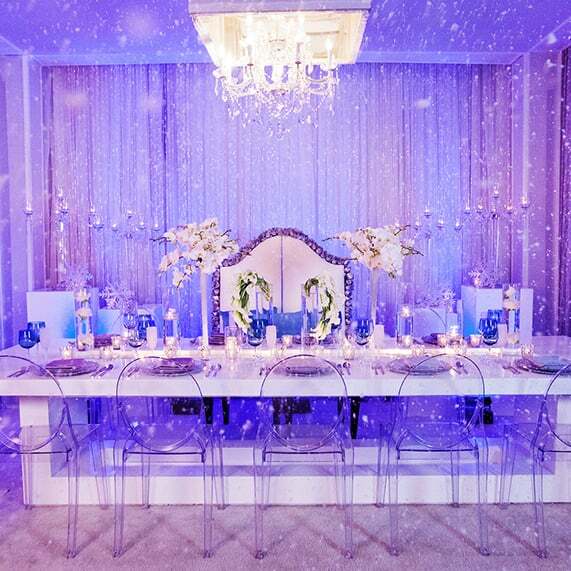 Inspiration for this look was garnered from Arendelle of Disney's Frozen to create this magnificent winter wonderland- minus the frozen temps. 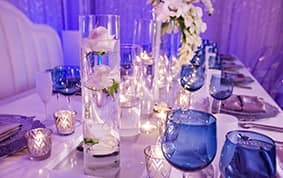 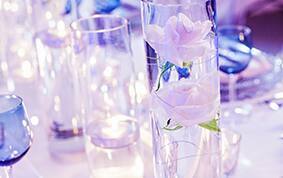 Glass so beautiful it looked like ice flowed through every detail while crystal chandeliers added sparkle to the venue. 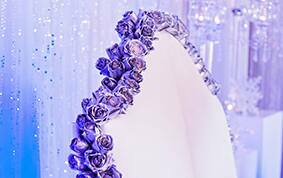 Frozen fractals fell from above while guests dined surrounded by ice crystals, glass tableware and metallic roses- a winter frost as beautiful as Elsa's powers. 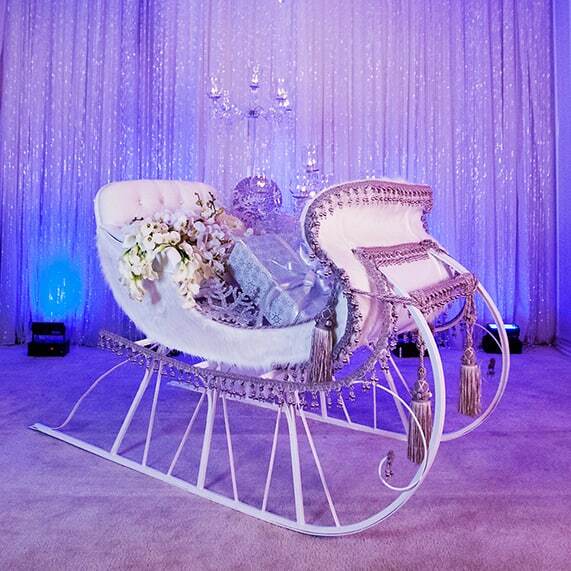 I'm sure Kristoff would agree when I say that a winter wonderland is never complete without a sleigh. 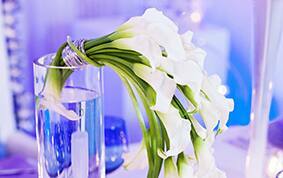 Especially one filled with presents and floral waiting to whisk the newlyweds off to happily ever after.